Regardless of your age, annual eye exams are extremely important for detecting common eye diseases and determining your prescription for eye glasses or contacts. Your eyes are always changing which is why we recommend scheduling an eye exam every year. Because vision is such a central part of your daily life, ensuring that your eyes are healthy is of paramount importance to your continued good health. It is important to note the difference between a vision screening and an eye exam. While you may have had a vision screening for work or school, these screenings are only basic tests to indicate if there is any vision difficulty. Eye exams, however, check for your overall eye health. 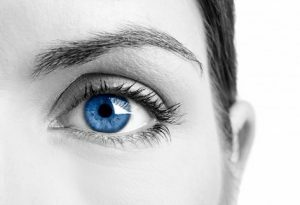 Did you know eye doctors are frequently the first people to spot developing health issues? Eye exams help detect potential health problems, like diabetes, high cholesterol, ocular melanoma, autoimmune disease, and thyroid disorders. A study by VSP Vision Care found that an eye exam was the first indicator of 34% of diabetes cases, 39% of cases of high blood pressure, and a shocking 62% of cases of high cholesterol. During an eye exam at Bellaire Family Eye Care, we will do a comprehensive checkup using the latest technology. This includes checking for the initial stages of various eye conditions, which is one of the most important parts of the exam. Our eye exams help establish a baseline in your eye health, so that any deviations from the norm can be detected. While it can be easy to ignore, your eye health is vital to living a happy, health life. Contact us today at 713-664-8087 to schedule your yearly eye exam!